1818, south east Africa: on the summit of a low hill, encircled by a foe six times their number, fifteen hundred men armed with cowhide shields and short stabbing spears sit and wait as the midday sun blazes overhead. Calm in the face of the horde gathering below, they know it's a good day for dying... but a better one for killing. At the centre of their formation a tall, broad-shouldered man surveys his troops. Only at his command will they rise and engage the enemy. 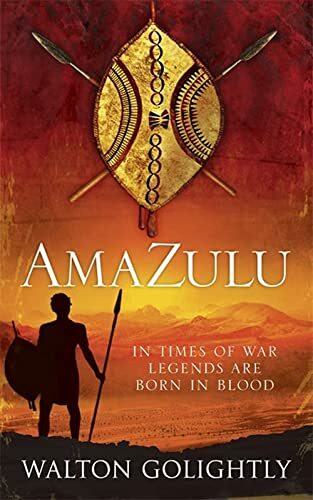 He is Shaka, his men are Zulu - the best trained foot soldiers in Africa - and the blood spilled in the coming battle will write the opening chapter of their legend. Following in Shaka's footsteps, AmaZulu sweeps across the burned hills of south east Africa's interior, charting the dawn of the Zulu nation through the eyes of the Induna, a battle-scarred captain, and his eleven-year-old apprentice. Aflame with conflict and intrigue, nobility and treachery, it tells the story of an unquenchable thirst for revenge and a genius for warfare that forged an empire as powerful and revered as Napoleon's France or Caesar's Rome. Born in 1966, Walton Golightly is a freelance writer from Durban, KwaZulu-Natal - on the doorstep of what used to be the Zulu Kingdom. He shares his life with a few thousand books and two dogs. Occasionally the dogs let him sleep on the bed.